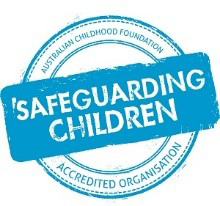 I/we have received the Parent/Guardian Enrolment Guidelines and agree to abide by the procedures as they relate to my/our child’s placement in a CatholicCare Children’s Services. I/we agree to comply with all Government requirements in relation to enrolling my child into the service. I/we agree to fortnightly DebitSuccess (direct debit) deductions for payment of my account. I/we understand that my childcare placement may cease if payment is dishonoured and not paid within 7 days. I/we agree that if the account is not paid by the due date, and following contact by CatholicCare Children’s Services staff, the account will be lodged with a debt collection agent for recovery, and in such circumstances I/we will bear an account surcharge of 25% to cover the agent’s commissions. In addition, I/we agree to bear all legal costs and disbursements incurred in the recovery of the debt. If a child/ren is booked in to start at a service on a particular date, and does not start on that day, no Child Care Subsidy will be paid until the child/ren physically attends a session of care. I/we agree to pay any outstanding Child Care Subsidy that has been revoked due to non-attendance for an 8 week period or cessation of care where care is no longer required. Child Care Subsidy will only be paid up until your child’s last day of physical attendance. I/we are aware that it is my/our responsibility to maintain a current Income Assessment for Child Care Subsidy purposes. I/we understand that I/we must give seven (7) days’ notice in writing of a permanent cancellation of care. I/we understand that if I provide one or more days’ notice, you will be entitled to a 50% discount on Before/After and Vacation Care. I/we understand that the fee charged, with Child Care Subsidy, is based on the information provided by me to the Department of Human Services. CatholicCare Children’s Services accepts no responsibility for the accuracy of information supplied for the purpose of calculating the Subsidy. Any issues regarding Child Care Subsidy should be directed to the Department of Human Services Family Assistance Line: 13 6150 (8am – 8pm). I/we understand that all Outside School Hours Care fees must be up-to-date before any vacation care bookings will be accepted. I/we understand that there will be no reduction of fees if I/we provide food for my/our child. I/we understand and accept the fee charges for CatholicCare Children’s Services. An administration fee of $15 is charged for all new enrolments. I/we understand that a LATE FEE of $20.00 for every ten (10) minutes or part thereof will be charged for late collection of children (after closing time). I/we understand an additional fee of $10.00 per family is charged if Administration is not notified that a child is absent from care and full fees apply. I/we understand that, in the event of illness, parents or authorised persons are required to collect their child(ren) from the Service immediately upon request. I/we understand that the decision of the staff as to the fitness of a child to attend the Service on a given day shall be binding. I/we agree to release CatholicCare Children’s Services from any liability to my child or myself in relation to any injury or illness that my child may suffer, and for loss or damage to property. I/we will pay all medical expenses incurred on behalf of my child. 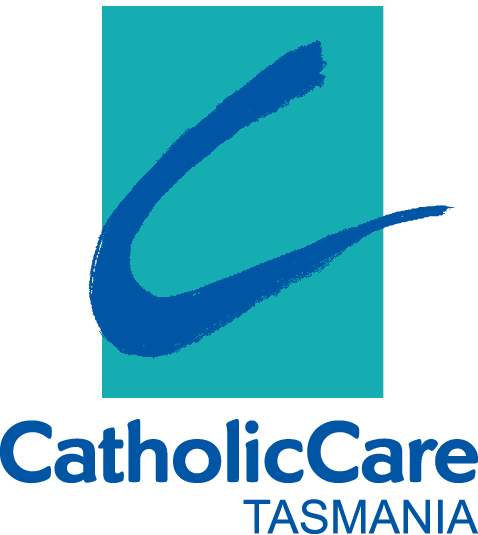 I/we understand that CatholicCare Children’s Services reserves the right to terminate this Contract when, in its discretion, it considers that to do so would be in the interest of the Service. CatholicCare Children’s Services agrees to give the parent reasonable notice of its intention to exercise this right and will refund any payments in credit. It is my responsibility to complete a current online enrolment form and to ensure all information associated with my child/ren is current and up-to-date. In the event of an injury/illness to my child during the Vacation Care Program, I authorise staff at CatholicCare Children’s Services to obtain whatever medical attention is necessary, and I agree to meet any expenses incurred. I acknowledge that CatholicCare Children’s Services will not be held responsible or liable for any loss or damage sustained to my child/ren’s property. 7 days’ notice for cancellations is required for a booking to be removed at no cost. One of more days’ notice is required for all cancellations to Vacation Care bookings to obtain 50% cancellation fee. I understand, if my child has a known allergy, I will supply the prescribed medication, action plan and authorisation to use as and when required. Failure to do so will result in my child being unable to attend. When on excursions the staff to child ratio is 1 to 10. A minimum of 2 educators attend all excursions. CatholicCare Children’s Services use only accredited Bus Services for excursions. We recommend that children arrive 15 mins prior to the service on excursion days to avoid time delays. It is a requirement that children pack a sun hat, coat and wear appropriate clothing and footwear. No electronic devices are to be brought to vacation care (unless it is a planned activity e.g. Minecraft day & with the exception of communication/therapy devices. Please bring a morning snack and lunch unless otherwise advised on the program. Afternoon tea is provided daily. I understand if my child(ren) is to take part in a swimming activity, I will provide their swimming ability on the day.